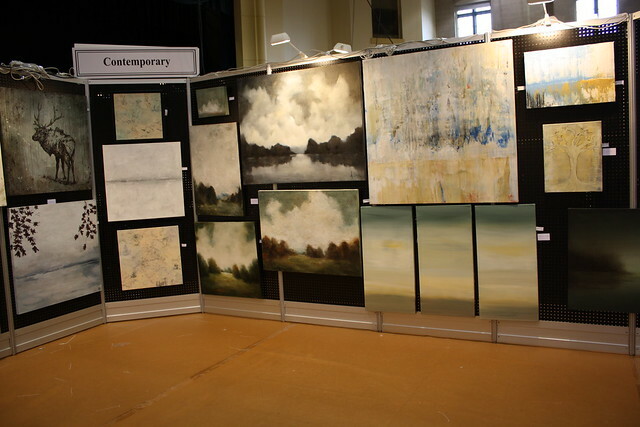 My favorite Atlanta art event began yesterday, and continues through this week (February 5-9, 2013). 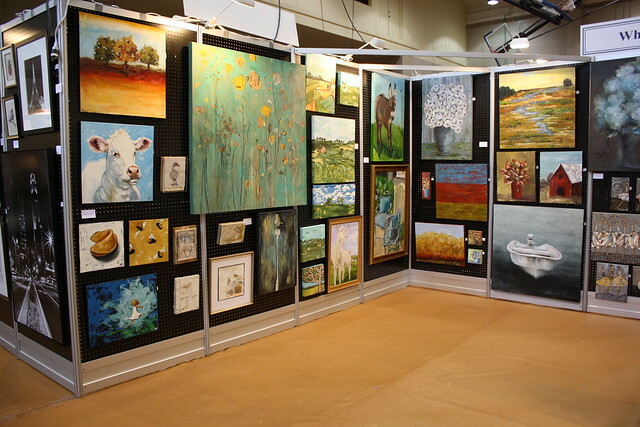 The 'Spotlight on Art' Artists Market is my ideal kind of place- thousands of paintings and works from hundreds of artists, all under one roof, in a very relaxed atmosphere. Virtually every genre is represented - contemporary art, pop art, impressionism, realism, sculpture, folk art, whimsical art, children's art. 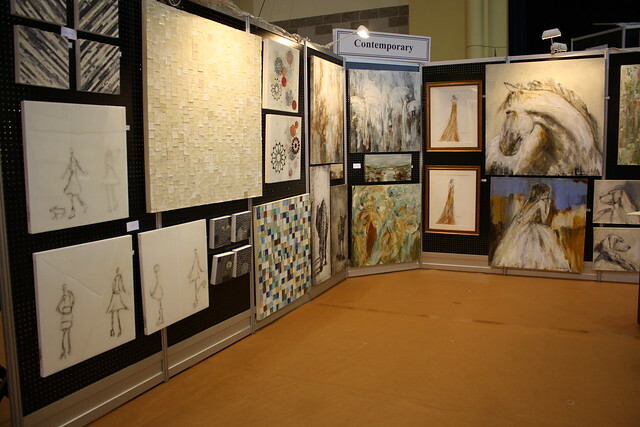 This year, over 350 artists are participating; there are many established gallery quality artists, as well as up and coming emerging artists. Plus, there is a wonderful jewelry area featuring unique pieces from some of the most talented jewelry designers in the Southeast. 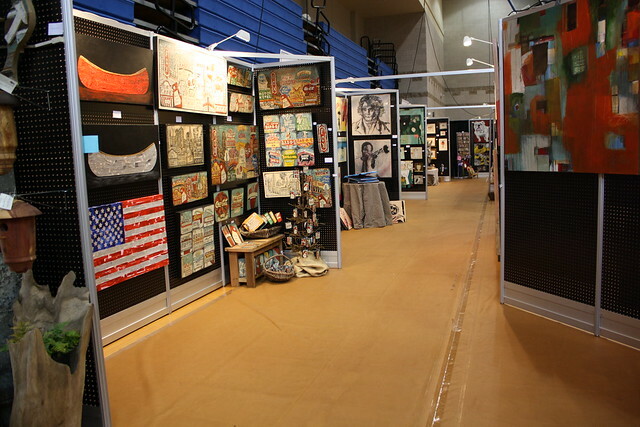 I was able to get a sneak peek while the Artists Market was being set up, and saw so many incredible pieces of art. 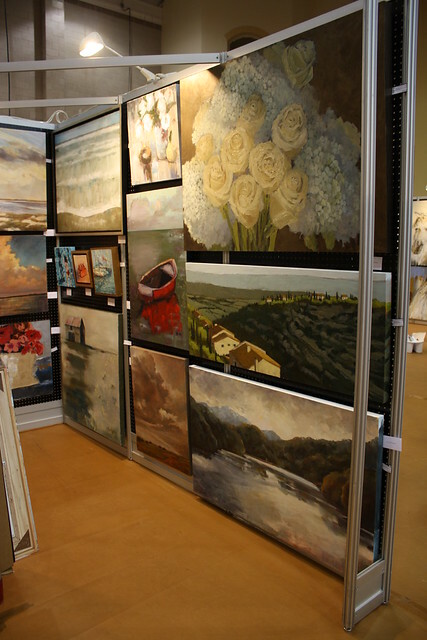 I love the ‘Whimsical’ section – there are so many great paintings in this section every year! Another section of Whimsical art. The Contemporary art section is always a favorite. A few panels in the Contemporary section. Realism/Impressionism was still setting up, but I managed to get a few shots. Realism/Impressionism in the foreground, Folk Art in the background. The Sculpture/Pottery section is fun to explore. The Children’s and Youth section. 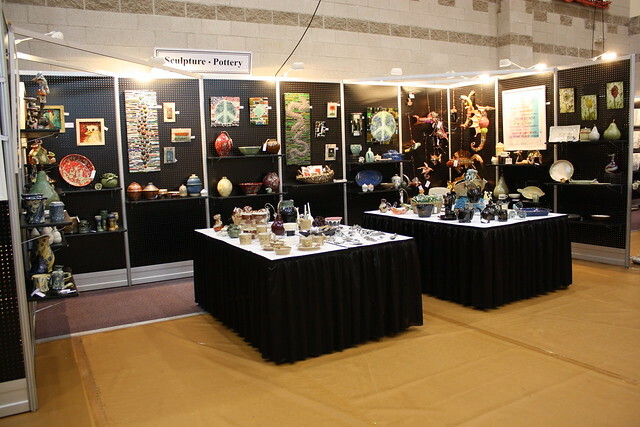 A view down the Folk Art section. The Home and Garden area. 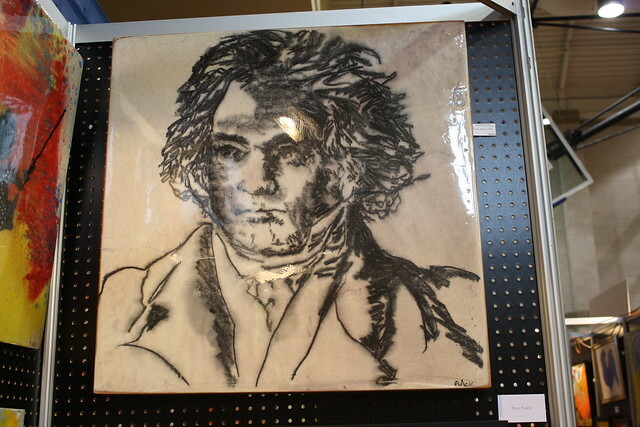 This sketch of Beethoven caught my eye. 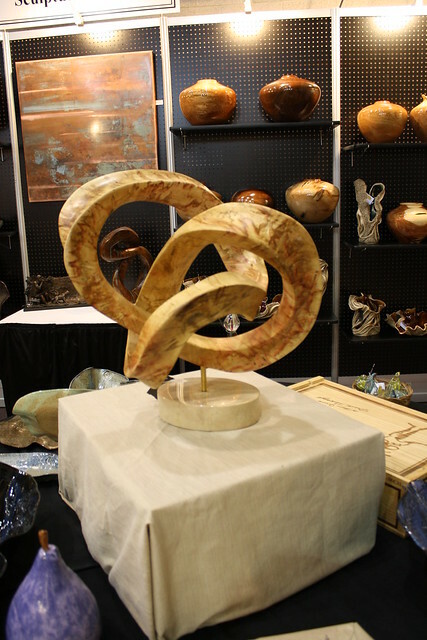 A beautiful wood sculpture makes a wonderful centerpiece on this table. 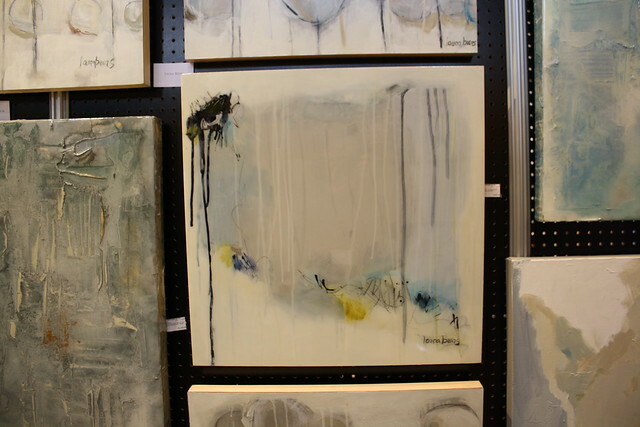 A new artist in the Contemporary area – this painting caught my eye. These map sculptures are incredible. 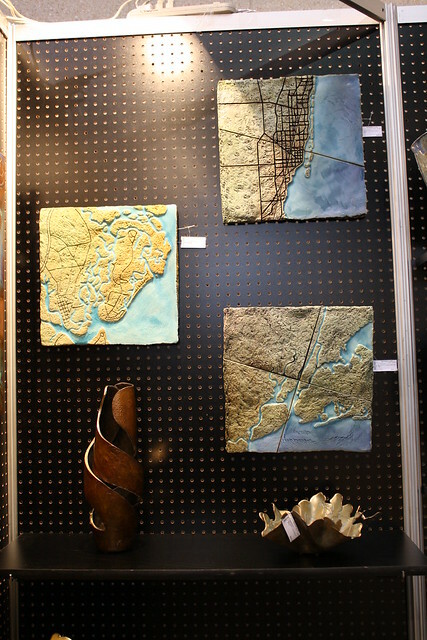 The top right is Miami, bottom right is NYC, and I believe the left one is St. Simons. 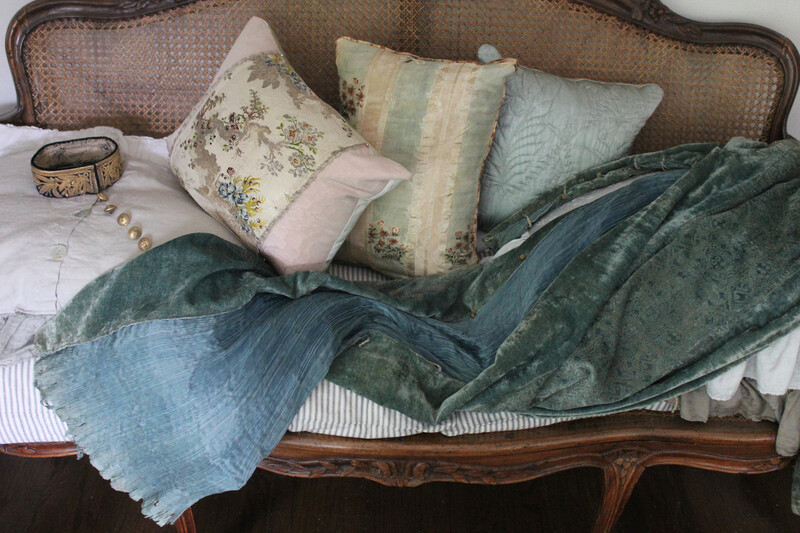 The paintings of this artist caught my eye – they are highly textured and full of life. The bicycle is my favorite! New art comes out throughout the day, as the art on the walls sells. 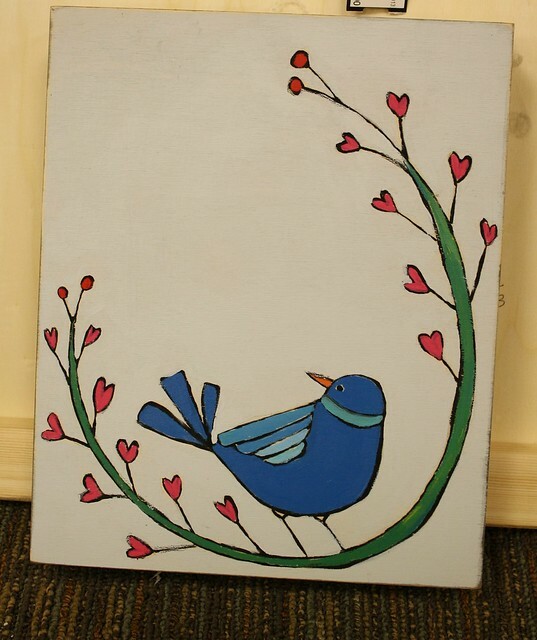 This sweet little painting was in the inventory area, ready to come out once there is a spot on the wall. 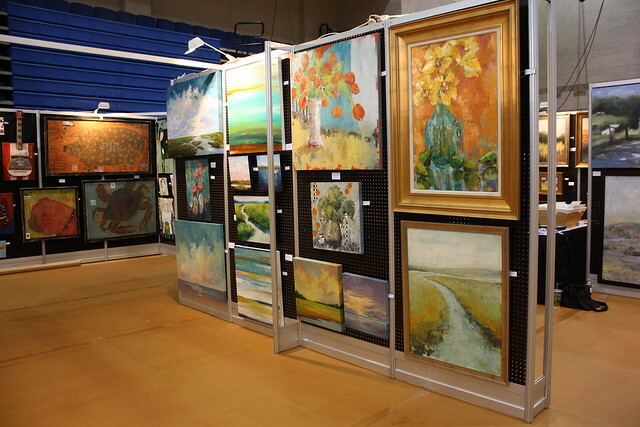 I visit the Artists Market every day, as there are so many new things to see every time I visit. 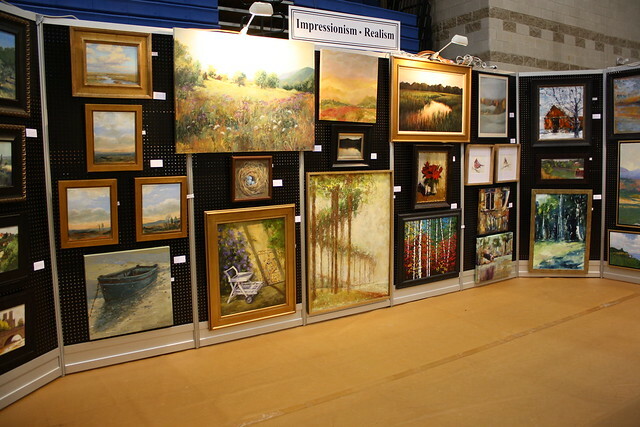 Looking through my house, so many of my treasured paintings are from the Artists Market. 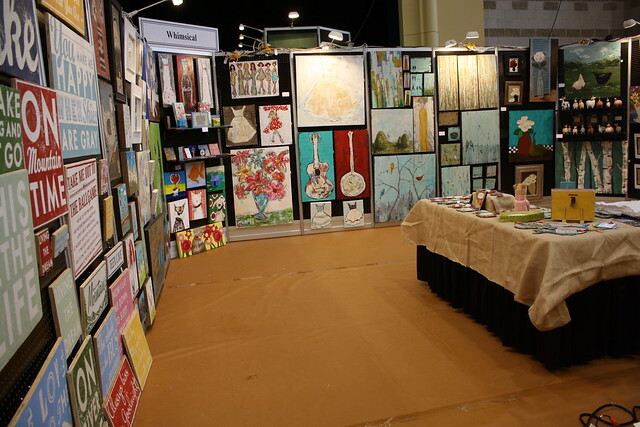 After getting a special preview of the market, I pulled out one of my favorite purchases from the past and placed it in a new location – and I definitely have my eye on a few pieces at the Artists Market to fill in some of the empty walls that I have in my house! The jewelry section was not yet set up when I got a preview of the market, but it is always amazing so be sure to check it out when you visit the market. It is located up on the stage in its own area. 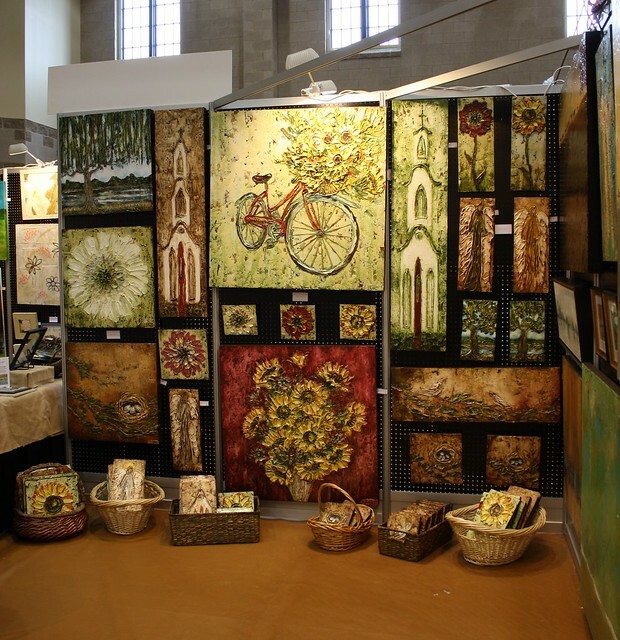 The Artists Market is open daily through Saturday, February 9th. There are so many wonderful artists, so many great pieces of art and jewelry; it is possibly the most inspirational place in town right now! 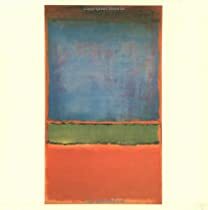 Everything seen in this post is available for sale (of course, unless it has already sold), and more art is brought out every day. Questions? Please visit the Spotlight on Art website, www.spotlightonart.com. Lucky you, Holly, to get a sneak peek. This is such an important event for artists in the Atlanta area. Bravo for bringing attention to it. And I've already spotted a few paintings I want! I would go berserk there.....they might need to kick me out at days end, how fun! Enjoy Holly and hope you find some wonderful treasures! 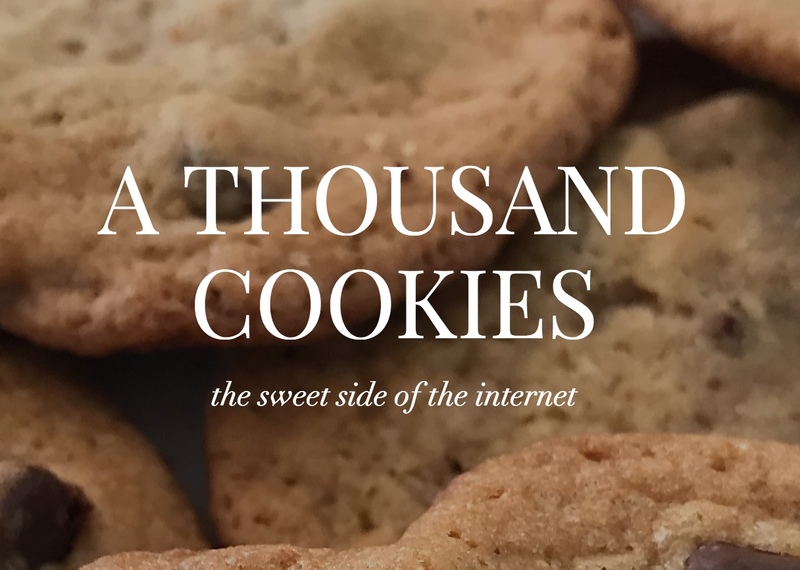 Looks like there is something for everyone and a big part of the enjoyment at such events is the hunt for that something special, enjoy! Love it! 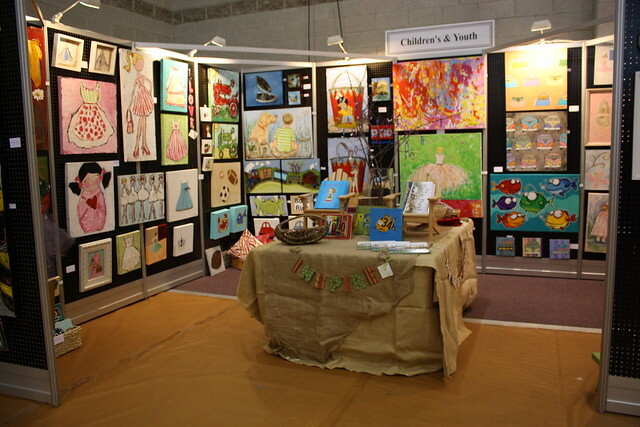 Thanks so much, Holly, for writing an article featuring the Artist's Market!! I am so glad I do not live close. My heart rat is just going out the ceiling! What wonderful art. I would spend days just staring and wanting to buy way to many of them. Thank you so much for sharing. Thanks for sharing!! This is a highly successful art show. 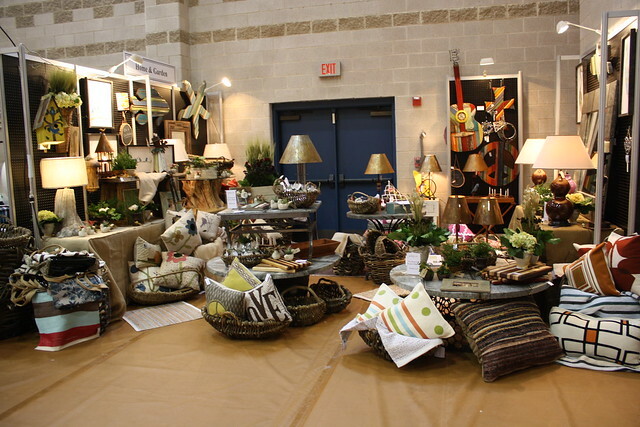 The variety that this show offers is quite spectacular! 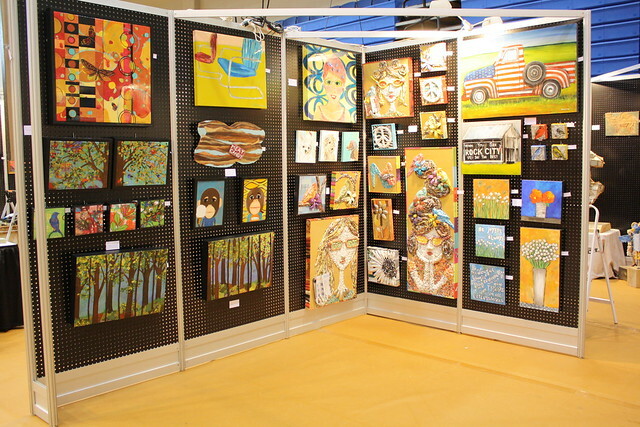 I went last year and will try to get over there tomorrow or Friday...I LOVE all the beautiful art! I bought two paintings yesterday, priced at less than $150 each! 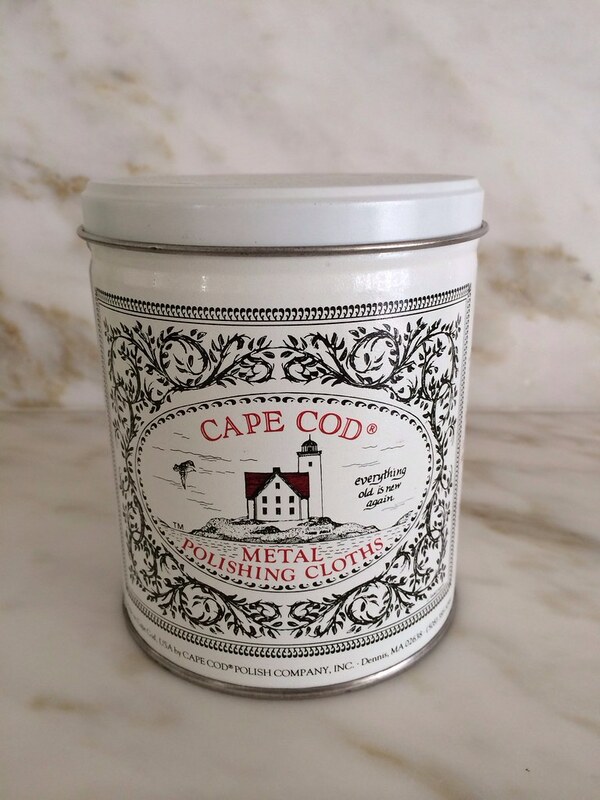 I wish they would give a trade discount to designers like most art galleries do.